Every couple of months there’s a post to one of the big forums about another hobby shop closing. We lament the closure, talk about how great hobby shops are, and then open a new browser window and place an order from a favorite online retailer. We all know why hobby shops are failing, so I won’t beat that dead horse. Prices, selection, aftermarket, blah, blah, blah. Suffice to say, this is our reality, and we have to face the implications. I haven’t been to a hobby shop in three or four months, and I have to be honest that I don’t miss the experience. So I have to wonder…are hobby shops obsolete? Really? Whenever I was at Avenel or any local shop I almost never saw modelers shopping much less talking. Meetups are a rare event, though in fairness I do know of at least one shop in Ohio where 10-15 guys regularly gather every Friday to talk plastic. Maybe, but I have a feeling that new modelers — at least adult modelers — will gather information about the hobby from online resources before setting foot in a hobby shop. For example, I’ve been considering learning how to brew beer at home. There’s a small shop near my home that sells supplies, but I’d probably do my research and make my subsequent purchases online. I don't think someone new to scale modeling to be much different. Yes, if you're lucky to have a shop close to you. Avenel Hobbies was a 60 minute drive for me, so swinging by after work was not an option. The two remaining shops, mediocre by comparison to Avenel, are at least a 30 minute drive. It’s easier for me to mail order paint and nearly anything else I need. Granted, that presumes that I monitor my supplies and plan ahead, but I don’t find that task terribly difficult, and ordering online ultimately saves me time driving to/from a shop on the weekend, time that could be spent at the workbench. I'm afraid to say that hobby shops may no longer be a viable business opportunity. That so many have closed tells us either there’s no market for them or the owners are mismanaging them. Or a combination of both. Either way, like it or not, we’re adapting to a new reality that may not be as bad as we suspect. It's sad to say but I have to agree that the LHS is dying breed, unless they can adapt to the market demands. My nearest LHS is just under 30 minutes away as well and I rarely if ever go there anymore. I find it much easier and cheaper to buy online - as it saves petrol, wear and tear on my car, zero parking fees and I don't waste time - and they generally have everything I need in stock. If they don't then I just shop around, go without it or wait. The old fashioned hobby shop no longer has the attraction that it once used to with clubs, forums and competitions now being the place to catch-up with your fellow modellers. And, of course, the LHS can be its own worst enemy. I've encountered some that made shopping an unpleasant experience, almost as though I was inconveniencing them. The days of the grumpy unhelpful LHS are going to be limited. A few years ago my LHS of choice, The Military Shop in Long Beach Ca, closed, but I had stopped going there on a regular basis long before. It was one of those shops that modellers would gather and talk plastic. The owner usually had a war movie or sporting event on the tv and he even had a small fridge where you could get a soda from. The reason I stopped going was the 60min drive one way and the conversations always went down a political road. The advantage I have, is my job allows me a lot of drive time from one site to another. So, I have the freedom of stopping at any of the remaining LHSs in SoCal. 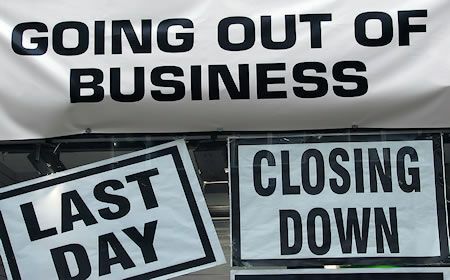 We see it as the death of the LHS but small retail is a dying breed all around. Look at your malls, plazas and the like. Most of the tenants are services or food. The rents are just too high to sit on low margin inventory for months and months. Despite what we may think of the LHS and "prices" the margins are not high and the turnover is very very low. Its more hard work than just turning on the coffee machine and sitting behind the counter but it will lead to more business. Straker mentioned grumpy staff... this is an all to familiar aspect of hobby stores as well. Retail sales is a skill and not everyone has it.